Spring is here! Actually it’s been here for a while, the earliest blossom has finished and almost all of the trees have their leaves. We have even had some lovely sunny days. 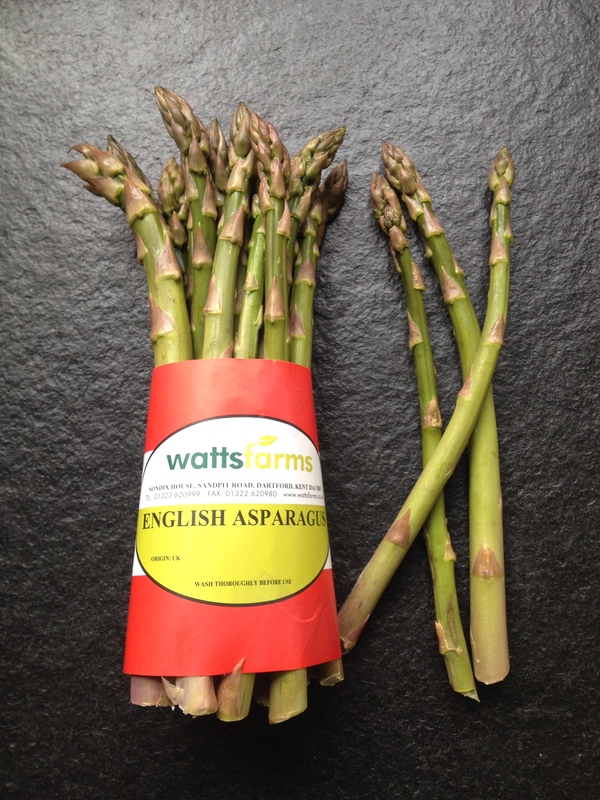 However, to me, a sure sign of spring is when British asparagus arrive. I got my first bunch last week, exciting times! 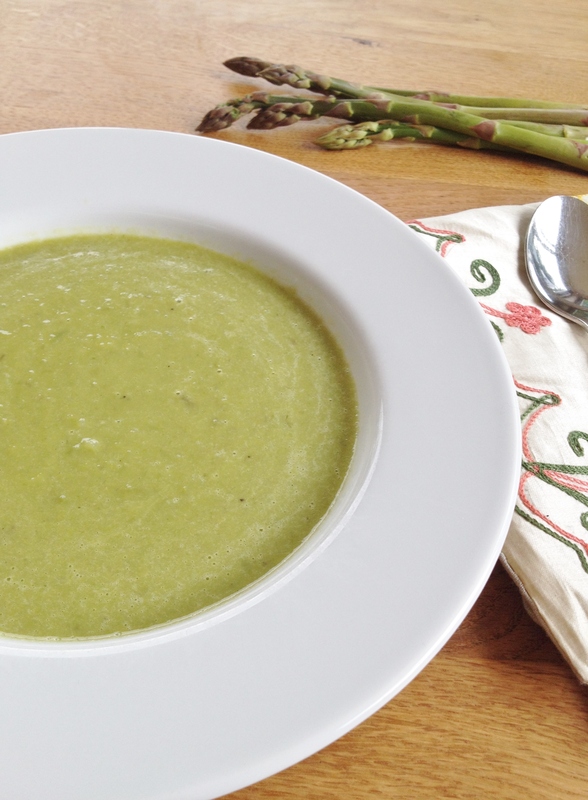 Wherever your asparagus comes from this soup is a quick way to enjoy them. I had seen an asparagus soup recipe with a Thai theme and I still may try that one but for the first asparagus of the season I wanted the asparagus to be the star of the show. So this soup has just a few ingredients, asparagus with a little onion, a waft of garlic and a hint of lemon grass. 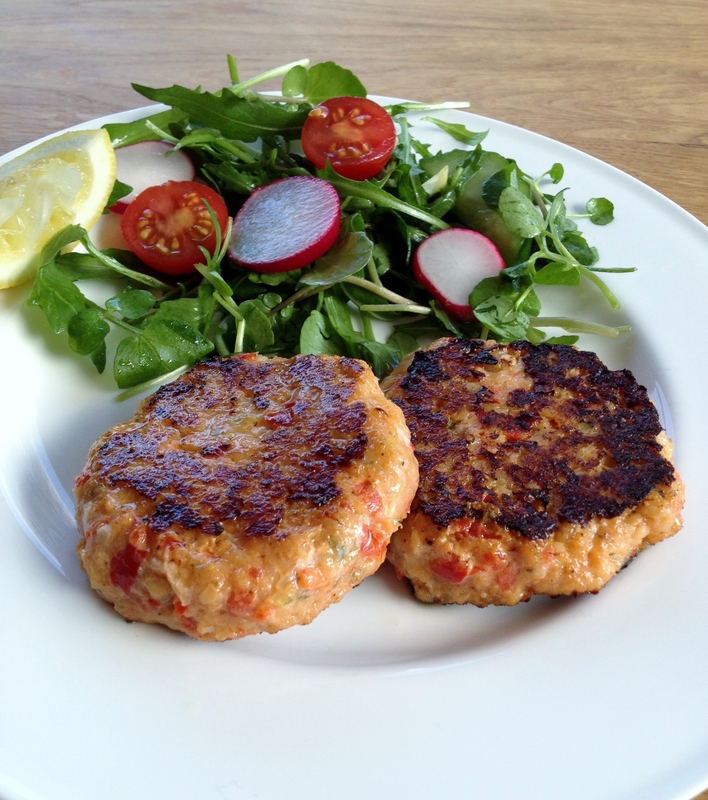 Its light and fresh, clean eating at its best. Prepare the asparagus by washing, snapping the woody ends off and chopping. Dice the onion and peel the garlic, leaving it whole. Heat the olive oil in a saucepan, add the onion and whole garlic clove and sauté until softened. Remove the garlic clove and add the asparagus. Stir to coat in the oil and sauté for a couple of minutes. Add the vegetable stock to the pan and simmer for 10 minutes, until the thickest asparagus are softened. Remove the lemongrass and purée the soup, I use a blender but an immersion blender would be fine. Purée until smooth. I wanted to post this for St Patrick’s day! It was the greenest recipe I could come up with! Then I ran out of time and the post wasn’t ready. Please say this happens to some of you? I feel I’m having a blogging crisis lately. I have post ideas but no time to try new recipes or I make recipes and forget to take a picture and sometimes I simply can’t find the time to sit at the computer and write anything. 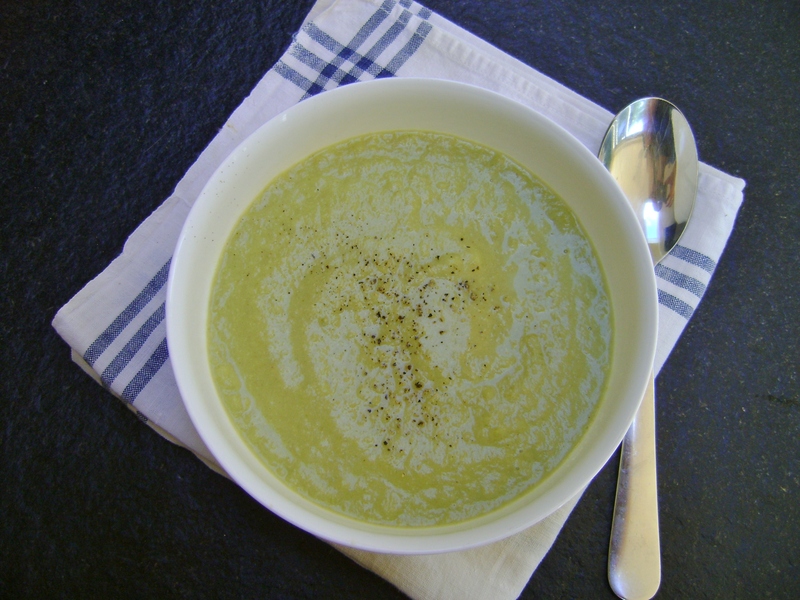 Well I may have missed St Patrick’s day but here I am with a simple, healthy soup recipe. 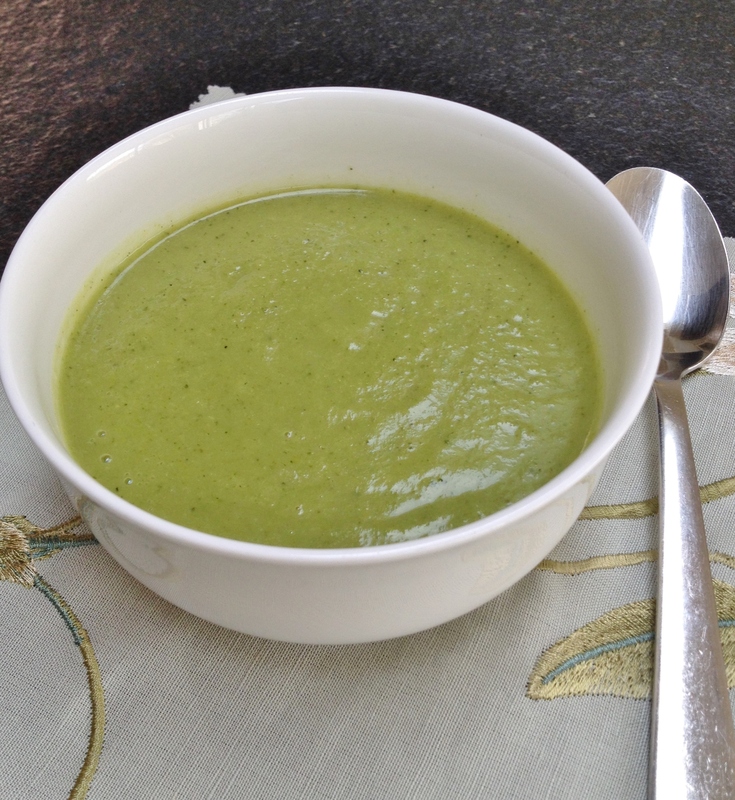 I have only recently tried broccoli soup, in part because many broccoli soup recipes have Stilton added, (I’ve not yet developed a taste for blue cheese). After a conversation about broccoli soup with a friend (you have those, right?) I decided to make my own and I’m glad I did! 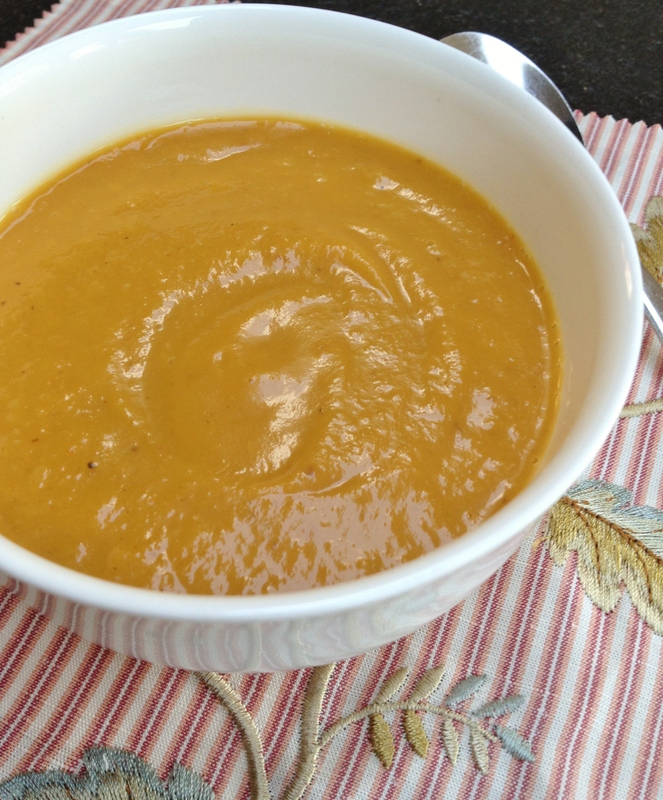 This healthy, soup is ready in under 20 minutes and tastes great! I love how the 4 ingredients flavour the soup equally, no one ingredient dominates. I even think I could get my broccoli avoiding husband to eat this, I will try that theory and report back! Add the garlic and broccoli, stir. Add the stock and simmer for 5-10 minutes until the broccoli is tender. Using the broccoli stalks as well as the florets makes the broccoli go further, saving money. Sprinkle with a few chile flakes before serving. So much in our lives is down to timing. People we meet, opportunities that happen just because you were in the right place at the right time or things that don’t happen because you just missed out. Spare a thought for the person that was just before or just after the person that did win the lottery! Timing can also affect so much of what we eat. As much as I love my cook books it’s often what I happen to see while looking at Pinterest or food blogs that now ends up on my plate! That’s where this recipe idea came from, I follow a blog called smarterfitter by Monica Shaw and a few weeks ago she did a detox during which she made the most amazing soups and salads (smoothies too, if unlike me you like smoothies!). One post that stayed with me was where Monica describes making “cream of” celery soup made creamy by using cashew nuts rather than cream. I’m so glad I saw that post as it really set a light bulb off in my head. It just so happens that I used to love Cream of Celery Soup! 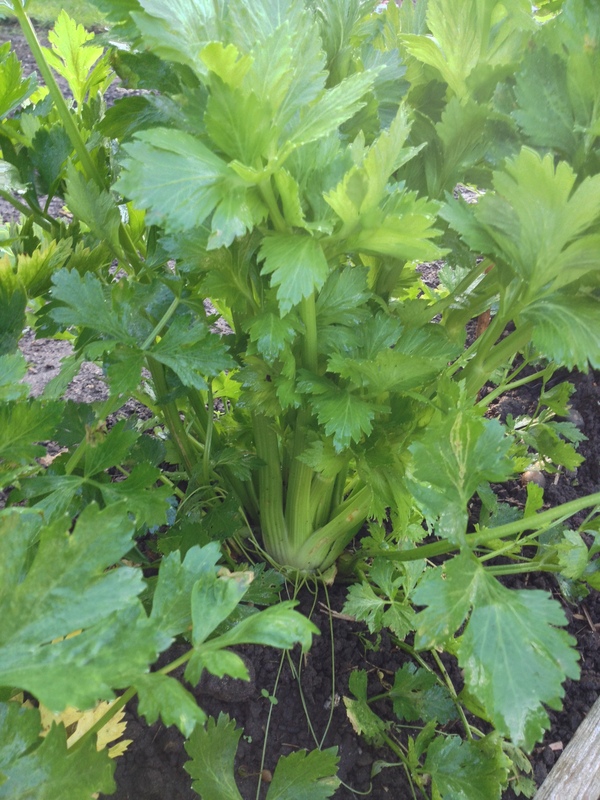 I also just happen to be growing celery at the allotment and I just happened to have cashew nuts in! Making this soup was meant to happen! There was actually no recipe in that blog post for the soup so I made up my own. It turned out great and is one I will be making again! I have always loved celery soup and its amazing how like the one I used to have from a can this turned out! Its got lots of celery flavour and its creamy without been heavy. Those cashews give a good dose of protein to the soup too which is great if following the Whole30 or Paleo diets where protein at each meal is advised but not always easy if you aren’t a big meat-eater. The first time I made this I found the nuts added a little grainy texture to the soup. This wasn’t unpleasant, just noticeable. I’m sure if you have a fancy blender like a Vitamix that wouldn’t happen. Now I add the cashews just before the end of the cooking time to soften them and the soup has a much smoother texture. My soups shade of green varies each time depending on the celery, as its home-grown its tends to be a darker green! Heat the olive oil in a large saucepan then add the celery and onion, stir to coat with oil. Turn the heat low and put the lid on leaving the vegetables to sweat for 5 minutes. Add the cashew nuts to the saucepan and simmer for another 5 minutes or until the celery is cooked through. It’s that glorious time of summer gluts from keen vegetable growers, everything arrives at once at the moment and in large quantities! This is less of a recipe and more of an idea. I was given a large bag of runner beans, I like runner beans but have never done anything with them other than boil or steam them. 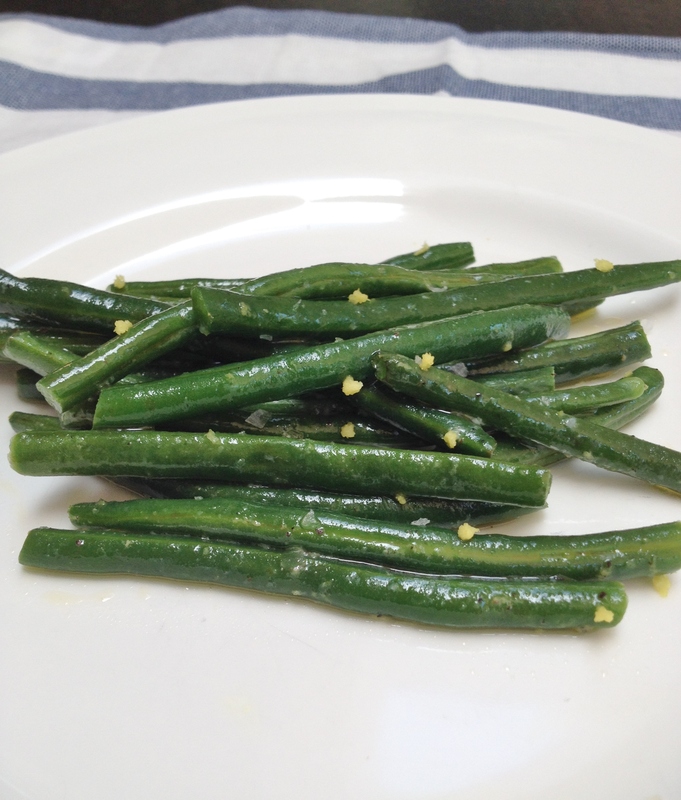 I dutifully blanched and froze some but still had a lot left so I steamed a few and dressed them simply with olive oil salt and pepper, they were delicious served immediately but I found I enjoyed them even more cold as a salad the next day, they are seriously good! I ate nothing but a bowl of these for lunch! You will see there are no quantities, just use however many beans you have and dress to taste. This really is just an idea that worked so well I wanted to share it here. This keeps well in the fridge for a couple of days, I prefer it a room temperature. 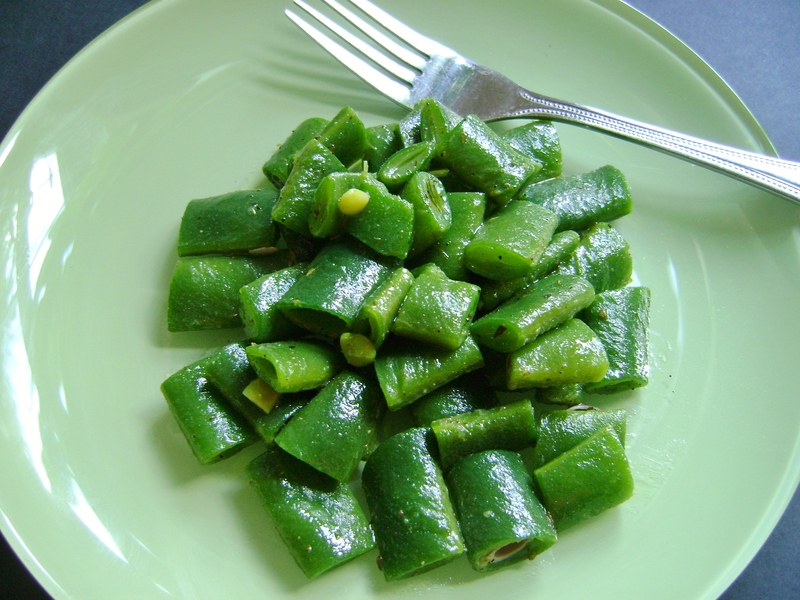 Cut the runner beans to bite size pieces then steam until tender. Drizzle with olive oil, enough so that all the beans get a good coating. Season with fresh ground pepper and sea salt. Eat right away or serve as a salad at room temperature.